If you want to build a sustainable, scalable, and competitive ecommerce business today, you have to be willing and able to invest in email marketing. A well-executed email strategy can help you boost brand and product awareness, qualify and prioritize leads, become more proactive when it comes to nurturing authentic relationships with current and prospective customers, increase traffic to your store, drive repeat sales, and build a stronger, more profitable ecommerce business over time. Here’s the problem: if you’re new to the world of ecommerce entrepreneurship, or inexperienced with email marketing in general, it’s not always easy to know what to focus on or how to even get started. You can waste a lot of time and money adopting tools and implementing tactics that don’t actually drive any real ROI for your business. 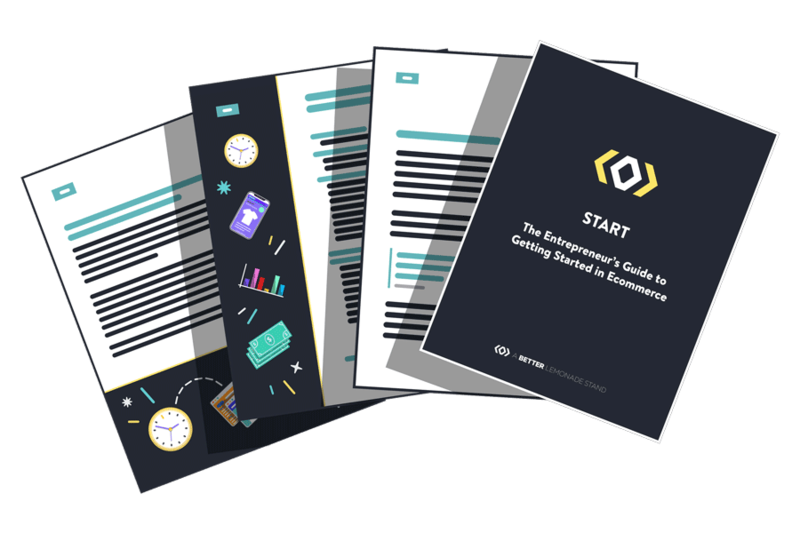 In this guide, we’ll share actionable tips, real-life examples, recommended tools and additional resources that can help you build an effective, and profitable email marketing strategy for your ecommerce store. 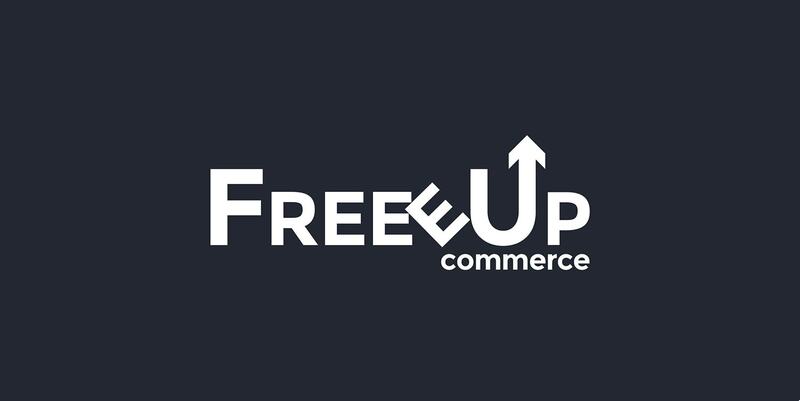 Before diving right into trying to develop the right strategy for your ecommerce store, it’s important to first understand the opportunity that email currently presents for businesses like yours. In order to succeed in the world of ecommerce, you need to be hyper-focused on serving your existing and prospective customers. To ultimately convince them to buy and buy often, you have to nurture them, delight them, and communicate with them on a regular basis. The problem is, you’re not able to operate like a traditional brick-and-mortar retail shop. You can’t look your customer in the eye, you can’t shake their hands, and you can’t build a rapport with them based on in-person interactions. You have to think of other ways to create meaningful relationships with people in your target audience, and sending emails is one way to do it. Why email? Despite the ever-increasing popularity and use of social media sites like Facebook, Twitter, and Snapchat, email still remains one of the best and most effective ways to reach your customers and interact with them on a 1-1 basis. Needless to say, if you’re not seriously investing in email marketing for your ecommerce business, you’re going to lose out on a huge amount of potential sales and revenue each month. The question is, how do you build an email strategy that works best for your business and your audience? 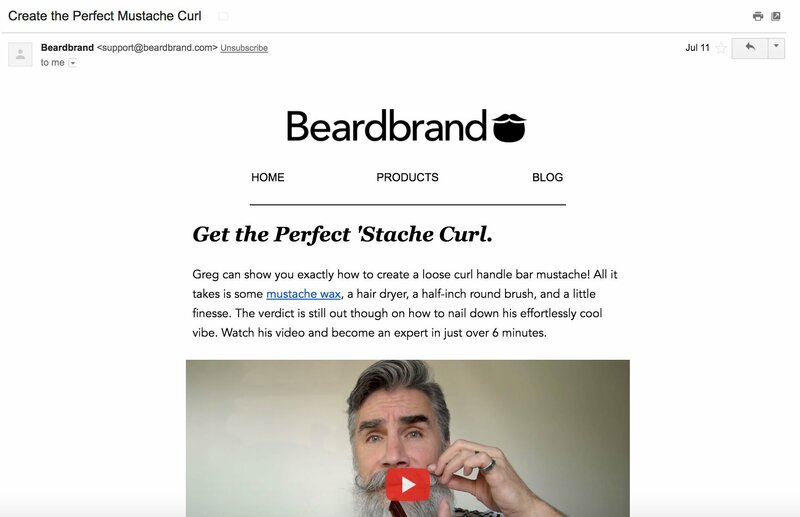 In order to successfully drive more sales with email, you have to build a customized strategy that will resonate with your customers and align with your brand. To get your audience to open your emails, engage with your campaigns, and buy your products, they have to feel like the messaging you send them is authentic, meaningful, written for them specifically, and representative of the unique voice and style of your brand. If your emails look and feel like everyone else’s, you’re never going to be able to make the impact that you’d like to make. Who is your audience? How old are they, where do they live, how much money do they make, how much education do they have, do they browse the web by computer or by mobile device, what are their hobbies and interests, how do they spend their money, what other types of products do they buy, etc.? What are they motivated by? What kind of offers, specials, or deals are most enticing to them? What language do you typically use to get them excited? What are their pain points and problems? What problems do they have and how do your products address or solve those problems? How are you currently communicating with your customers? What other channels are you using to communicate with customers, and how do you approach communication on those channels? How do you promote your products and business to your customers in other places? When have they been most likely to engage with you on other channels? Can you dig into data from other channels such as Facebook and Google Analytics and find out which days of the week and which times of day typically drive the most engagement and responses from your audience? What data are you collecting about your prospects and customers? Are you able to leverage data to send personalized emails to your customers (using information such as full name, birth date, location, age, etc.)? How are you currently segmenting your list of customers and prospects, if at all? Are you able to segment your list into different groups based on if they’ve purchased, how often they’ve purchased, when they’ve been most likely to purchase, which products they have purchased, etc.? What do you want people to feel when they interact with your brand? How do you want to make them feel? What impression do you want to leave them with? What makes your brand and products unique? How are you different than your competitors? Why do they care about your products over others? What is the look and feel of your brand, and how can you transfer those standards over to email? What colors, imagery, and graphics do you use when promoting your company and products? What language do you use? Why do your customers buy from you more than once? Do you know what drives your loyal customers to purchase products from you again and again? On the flip side, do you know what prevents them from buying from you again? What kind of resources do you have set aside for email marketing? Do you have the time to manage email marketing for your business? If not, do you have someone in mind who can help you manage it? What is the budget that you are setting aside for email in the next quarter? What is your budget for email if you were to invest in it for a full year? The answers to these questions will help you begin to shape an email strategy for your ecommerce business, but your work is not complete with this exercise alone. Once you’ve taken time to think more about your audience, your brand, and your goals, your next step will be to think about what types of emails you want to ultimately send to your list in order to drive more sales. 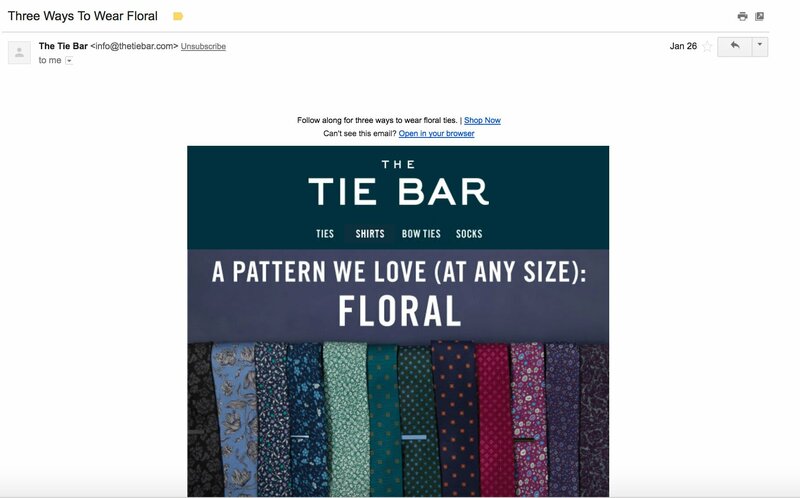 When you’re building your ecommerce strategy, you need to think about the type of emails that you want to send to your list in order to boost sales. 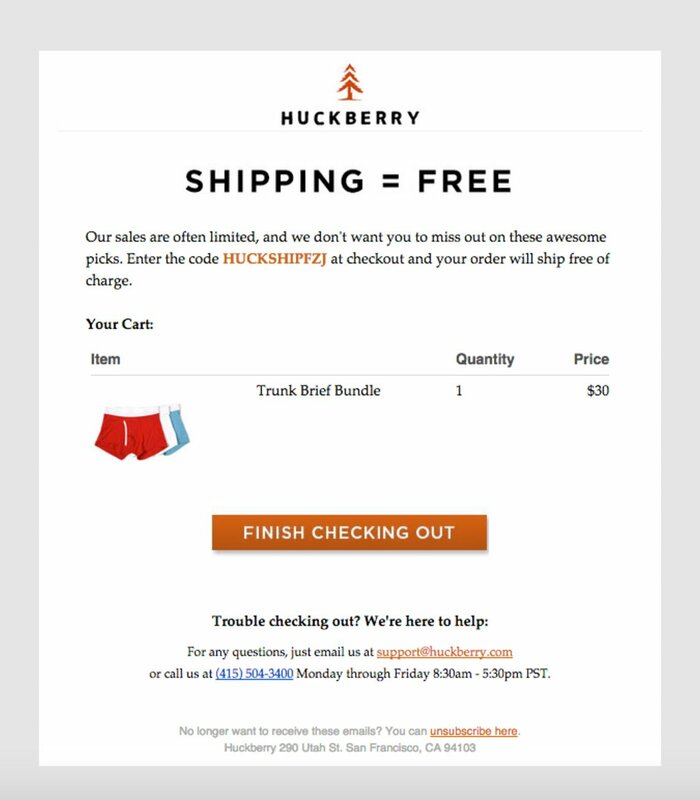 At a minimum, you’re probably already sending emails that automatically go out whenever someone purchases a product from you, and you may even be sending the occasional promotion offer email, but there are a lot of other types of conversion-driven emails that you could be taking advantage of to persuade people to buy from you. 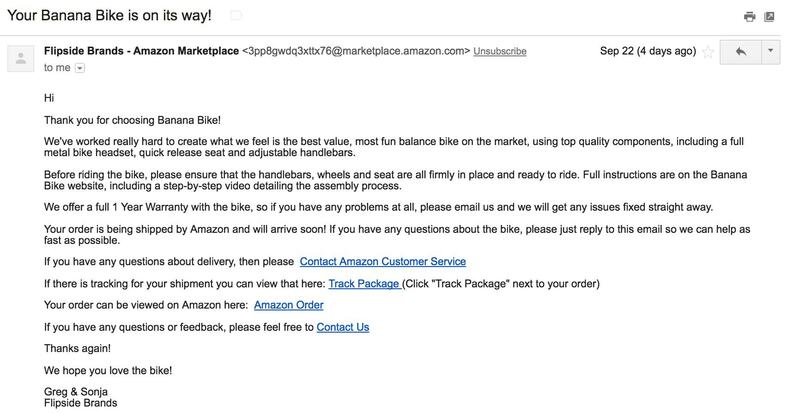 These are the emails you’re probably most familiar with as both an ecommerce business owner and as an online consumer. Transactional emails are trigger-based messages that you get based on specific actions that you take on an ecommerce website. Examples include order confirmation emails, shipping confirmation emails, customer feedback emails, and account creation emails. Standard transactional emails usually include links back to your website, which can help drive additional sales. 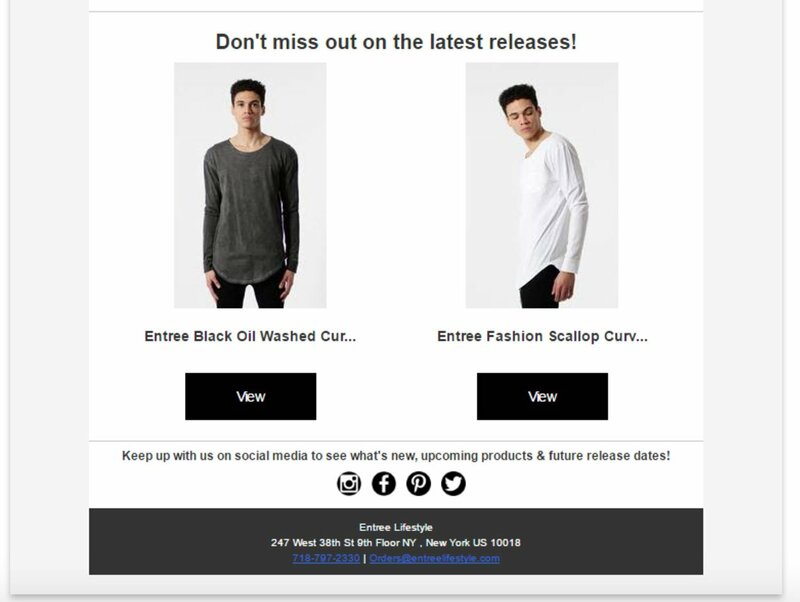 These are transactional emails that have been specifically optimized to drive repeat purchases using an ecommerce CRO tool like Spently. 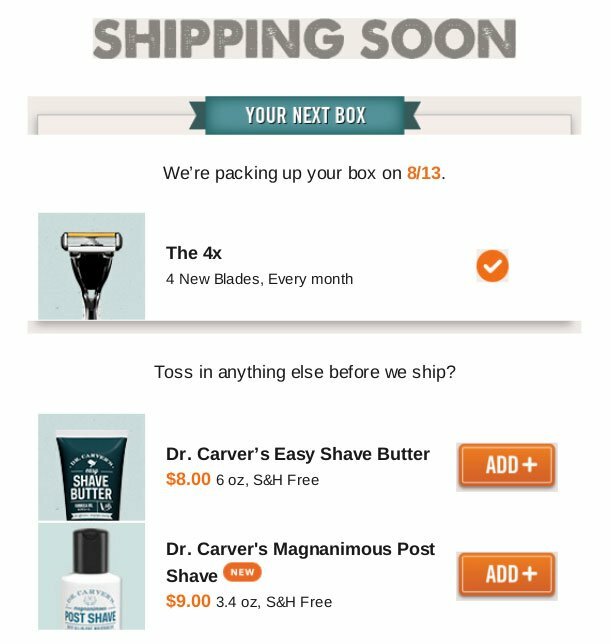 Optimized transactional emails have strategic messaging, graphics, and CTA buttons that aim to direct people back to other product pages. More brands are optimizing order confirmation and shipping confirmation emails in this way now than ever before, because as mentioned earlier, transactional emails have 8x more opens and clicks than any other type of email and can generate 6x more revenue (source: Campaign Monitor). These are emails that you send to people who subscribe to receive updates, offers, and blog content from you. Welcome emails can help you make the right first impression, and allow you to begin to establish and nurture relationships with prospective customers. A Welcome Email series is usually comprised of a mixture of educational content, first-time offers, product spotlights, stories about your brand, and social proof about your products (reviews and testimonials from other happy customers). The purpose of a welcome email series is to build trust and get people excited about your products. The number of emails you include in this type of series is completely up to you. It could be a 4-part series, or it could be never-ending (i.e. you keep sending emails to subscribers in this list until they purchase a product from you and are moved into a different email list segment (from “Lead” to “Customer,” for example). These are emails that you send to people to help educate them on the pain points you know they have, the pain points that relate to your industry and products, and the products (solutions) you are offering to them. Education-based emails could include repurposed content from blog posts, or original content that you created specifically for your email campaign. The goal with education-based emails is to position yourself and your brand as a trusted resource. These types of emails also provide a way for you to keep in regular communication with your subscribers. Doing so can help you continue to build trust and nurture prospects down your funnel toward conversion. 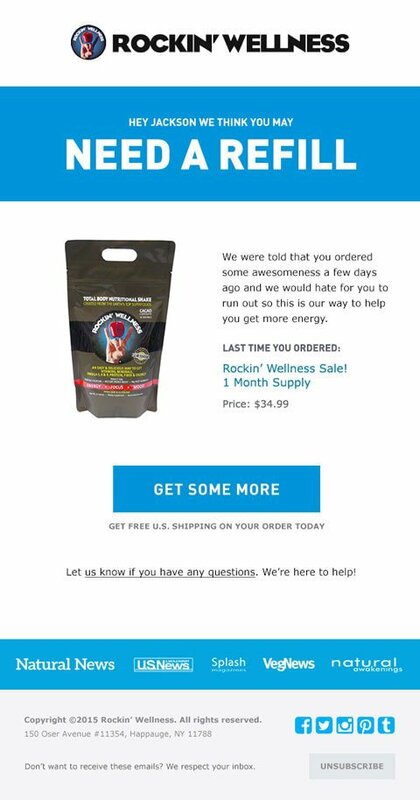 These are emails that automatically get sent to anyone who adds an item to their shopping cart, but leaves your website before completing their purchase. Abandoned cart email campaigns can usually be created and turned on from within the ecommerce platform that you’re using to sell products and send other types of transactional messages. The purpose of abandoned cart emails is obviously to entice people to go back and finish ordering their products. 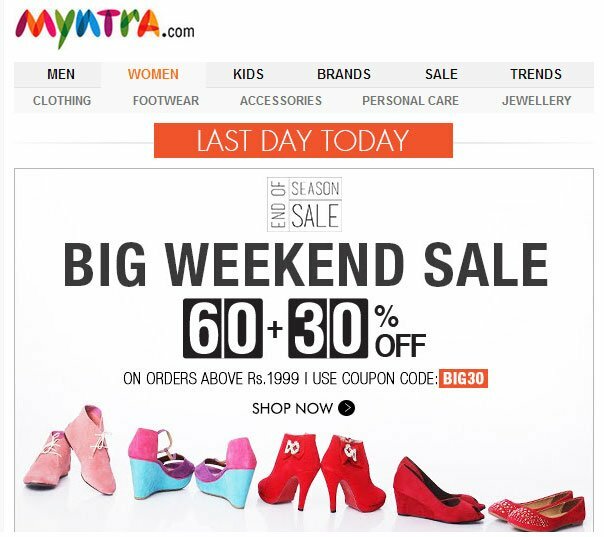 To drive prospective customers to do so, many ecommerce brands will include special one-time offers (ex. Free shipping) or discounts (5% off) in their abandoned cart emails. Other brands will include urgency messaging (ex. Limited quantities available!) 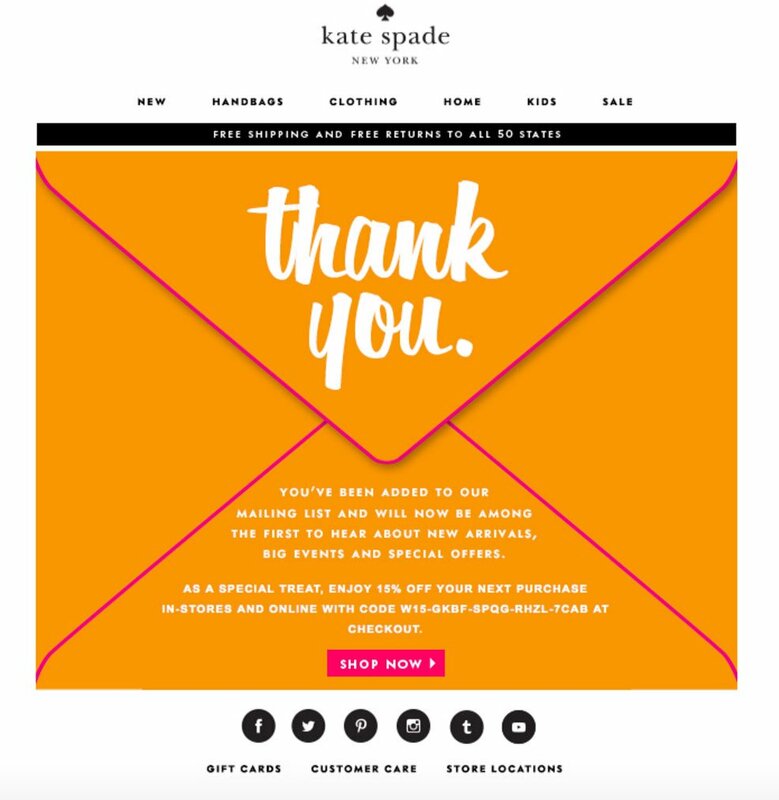 in their abandoned cart emails as a way to entice almost-customers to convert sooner rather than later. Act fast, before it’s too late! 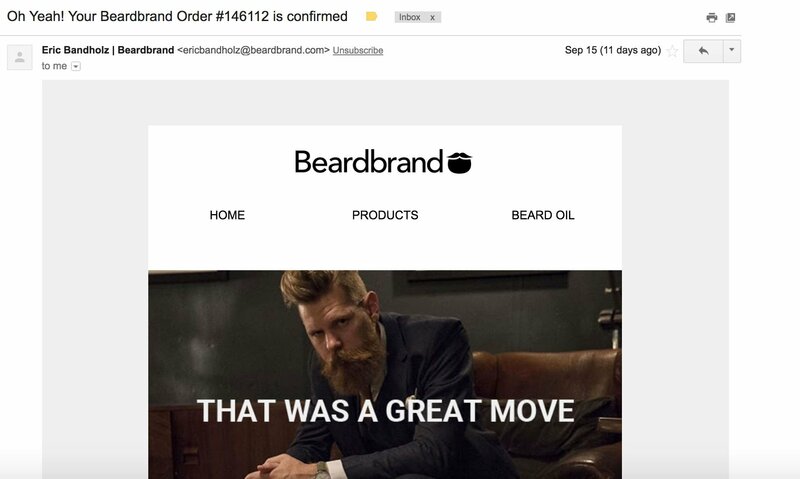 The purpose of these emails is to get subscribers to take action immediately upon seeing the email land in their inbox. These are emails that you send to customers in an effort to get them to buy related products from you that you know they’ll love. 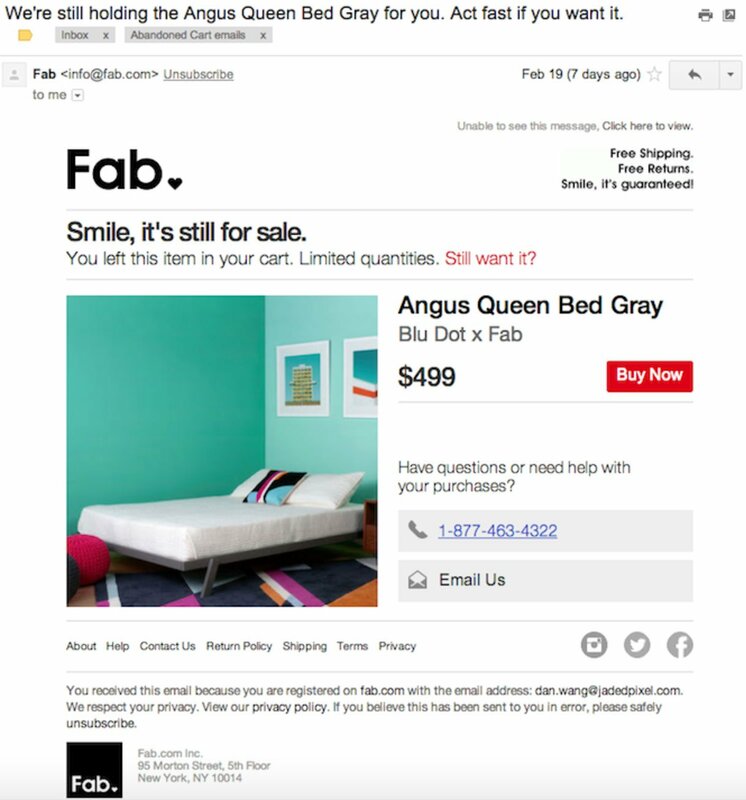 With upsell and cross-sell emails, the focus is all on personalization—showing your customers that you know who they are and what they need. 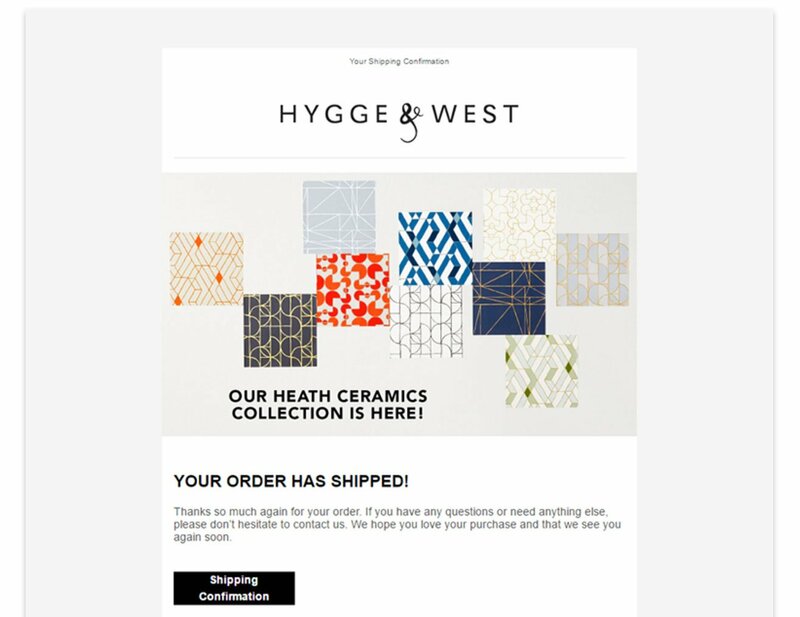 To incorporate this type of email campaign into your email strategy, use a tool like Spently that allows you to easily incorporate recommended product containers into the transactional emails that you’re already sending to your customers. These are emails that your subscribers and customers don’t expect to receive from you. They typically include some sort of gift or offer that rewards them for being a customer. The goal with customer delight emails is to boost loyalty among your customer base. You want people to be excited about buying your products, and sending them little, inexpensive “gifts” is a great way to make them feel special, and committed to supporting your brand and products instead of your competitors and their products. These are emails that you send to promote certain holidays and seasonal themes that you know your customers will care about. 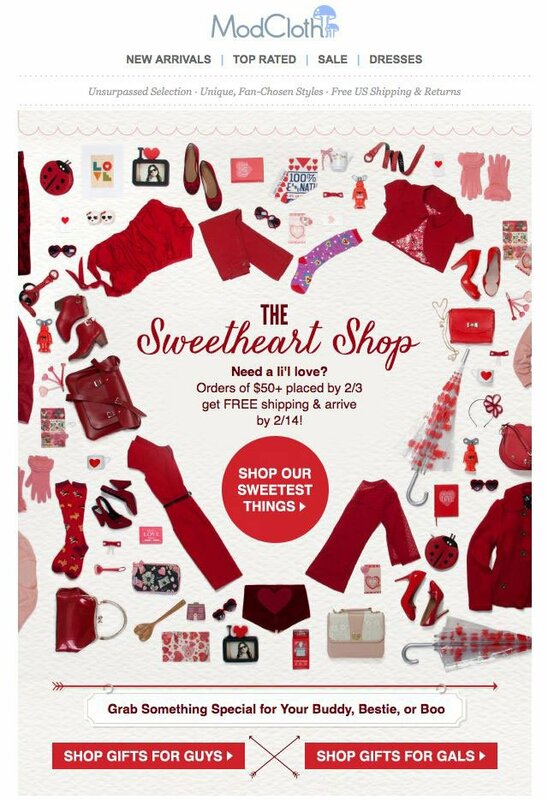 Examples include Christmas, 4th of July, Black Friday, Cyber Monday, Valentine’s Day, etc. The best holiday-themed emails are the ones that align closest with the products you offer. For example, if you sell chocolate on your ecommerce store, the weeks leading up to Valentine’s Day will be the perfect time to send targeted email campaigns to customers in an effort to drive more sales. Now that you have a better idea of the types of emails you could be sending to drive more sales, it’s time to put your strategy in motion. You’ve taken time to think about your audience, your brand, and your goals, and you’ve reviewed the different types of emails that you could be incorporating into your email strategy. So, the question is, what’s next? How do you put everything that you’ve learned into practice? To finalize your email strategy, review the list of email types above and decide which ones you’d like to test or implement in the next 30, 60, and 90 days. 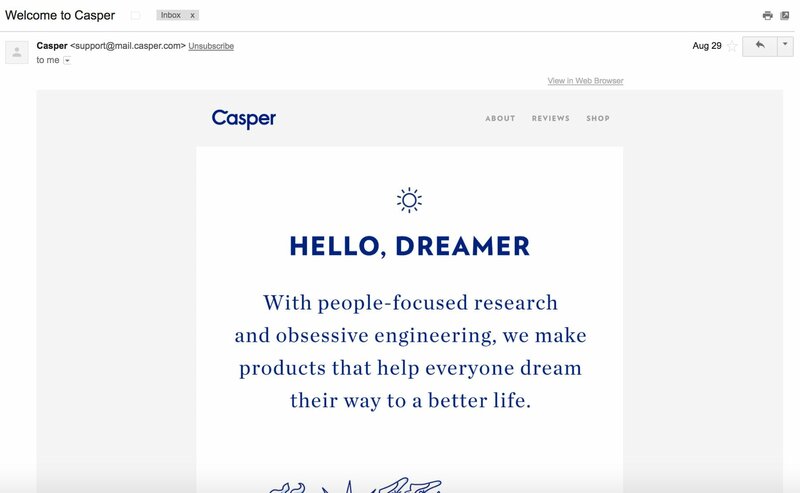 When evaluating the different types of emails described above, think about the answers you wrote down about your customers, your brand, and your goals. Which types of emails do you think your audience would respond to best? Which type of emails would they be most excited about? What are your goals for the next quarter? Do you have the resources (time, people, money) in place to implement every type of email in that list? If not, can you prioritize the ones you think are worth trying right away? Once you’ve made decisions about the types of emails you’d like to start sending to subscribers and customers, the next step you need to take is to build out your calendar and automated workflows. Your master email calendar should list out every campaign you intend to send out over the next 90 days. When building this out, think about the upcoming holidays you could take advantage of, and consider the seasonality of your business. Try to work backward from the day a particular campaign will go out, and determine what you need to do in the weeks ahead to prepare. Will you need custom graphics? New product photos? New landing pages to send subscribers to? Use your calendar to figure out the work and resources you’ll need in order to send email campaigns out on time. Your automated workflows are comprised of the lifecycle emails that you know you’re going to want to send to every customer who purchases a product from you. These are your optimized transactional emails as described above. Re-engagement emails and up-sell/cross-sell emails should also be included in your automated workflows. Think about the tools that you can use to automate your email marketing tasks. As mentioned above, your ecommerce platform might already include native tools that you can use to send transactional emails to your customers. If you’re using a platform like Shopify, you probably already know that there are thousands of apps you can use to test different tactics and automate tasks relating to your business. If you’d like to optimize the transactional emails you’re already sending and add some re-engagement emails, for example, look into incorporating Spently into your Shopify account. Idea #1: Write a short ebook and promote it on social media and in your blog content. Think of the pain points you know your ideal customers have, and write an ebook that provides readers with answers to their questions and solutions to their problems. Focus on leveraging yourself and your brand as a trusted resource. For example, if you sell athletic shoes, write an ebook about how to improve your running form. Gate your ebook behind a landing page on your website, and offer the resource as a free download in exchange for an email address. Idea #2: Launch a viral contest. Give one of your products away. Launch a contest using a contest software tool like Gleam. Offer extra entries to people for visiting your website, answering a question, or referring the contest to another friend. Idea #3: Add opt-in forms throughout on your website. Offer a 10% discount or promo code to anyone who subscribes to your list for the first time. Note: make sure you have a welcome email or welcome email series in place before adding this form on your website! There’s nothing worse than asking people to sign up for your list when you’re not prepared to reward them with the gift you promised. As you start building your email list, work to segment your subscribers. Doing so will help you send more targeted email campaigns in the future. Separate your list by subscribers, customers, repeat customers, raving fans, abandoned cart leads, etc. To learn more about segmenting your ecommerce list, read this great post from Shopify. Spend time building out the email campaigns you planned out in your 90-day email calendar. This may involve using a few different tools—remember, you’ll want to build out manual campaigns to test different types of emails, and you’ll want to build out automated workflows that send emails to customers based on certain transactional triggers. Schedule and push out your first email campaigns. To get the most ROI from your efforts, consider setting up A/B tests. For example, you could test different subject lines, graphics, copy, and CTA buttons in every email you send. Doing so will teach you more about your customers and how they respond to different messages. Once your emails are live, track performance in real-time and after your campaign has ended. Use these insights to make changes and improvements to future campaigns. For every email you send out, you should be tracking open rates, clickthrough rates, conversion rates, bounce rates, and overall ROI. To learn more about each of these metrics and why they are important, read through this blog post from Hubspot. What email tactics are you using to boost sales? Tell me in the comments below — I’d love to hear about your ideas and experiences! 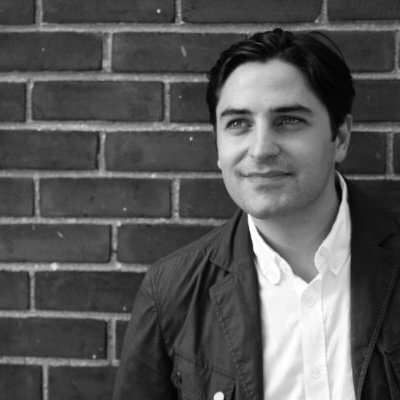 Vincent Panepinto is an entrepreneur and email marketing expert. He is the co-founder of Spently, a Shopify Partner committed to helping online retailers succeed through marketing solutions and services. Spently's Shopify App helps merchants turn transactional emails into marketing opportunities with upsells, discounts and follow-up emails after every purchase.